Because the Ocean, climate change & ocean initiative, active since COP21: If we want to protect the climate we must protect the ocean & vice-versa. “The increased consideration of ocean issues can serve as an accelerator for raising climate change mitigation and adaptation ambition.” Valvanera Ulargui, Director General, Office of Climate Change, Spain. Gathering fifty experts from European governments, intergovernmental and academic organizations and observers from NGOs, the Before the Ocean workshop took place in Madrid 10 and 11 April 2019. Cooperation between the marine and climate communities should be fostered at international, regional, and national levels. Special thanks go to the Ministry for the Ecological Transition of the Government of Spain, its Fundación Biodiversidad and the Intemares Life programme for their support throughout the preparations and running of the workshop. Fifty delegates, including government representatives from some 12 European countries plus the European Commission, and several relevant intergovernmental organizations, academia and civil society are exploring for two days how ocean elements can be including within countries’ Nationally Determined Contributions (NDCs) under the Paris Agreement, and what methodologies need to be applied to make the next Climate COP a milestone to address the relationship between climate change and ocean change. 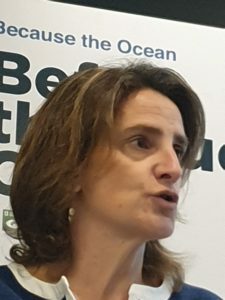 In a video address, Chile’s Environment Minister and President of COP25 in Santiago, Chile (December 2019) greeted the delegates, emphasized the importance of incorporating climate action and ocean action, outlined the need to explore how to place ocean elements within Nationally Determined Contributions, and invited the participants to “the Blue COP”. A team of the International Isntitute on sustainable Development (IISD) is covering the workshop, an will issue a special report of the Earth Negotiations Bulletin. A week away from the workshop Before the Blue COP in Madrid (10-11 April 2019), the agenda and programme for this event and the Discussion Paper are available on this website. Click here to receive the agenda and programme. Click here to receive the Discussion Paper. Representatives from the following governments and organizations have registered to take part in the two-days session: Belgium, Chile, European Commission, Finland, France, Malta, Monaco, the Netherlands, Spain, Sweden and UK, as well as the UNFCCC Secretariat, the UN FAO, the Office of the Special Envoy of the UN Secretary General for the Ocean and the Friends of Ocean Action, the Oceanographic Institute of Spain, the CNRS (France), the Spanish Committee of Oceanographic Observation, Freie Universität Berlin, the University of Cantabria (Spain), the Prince Albert II of Monaco Foundation, the Ocean & Climate Platform, the Institute on Sustainable Development and International Relations (IDDRI), the Tara Foundation, Ocean Conservancy, the World Resources Institute (WRI) and Spain´s Fundación Biodiversidad. The workshop will begin with a High-Level Opening Session open to the public, at the Royal Botanic Garden just alongside the Prado Museum. Click here to see the speakers list. And send an email to info[at]becausetheocean.org if you’d like to attend this Opening Session. 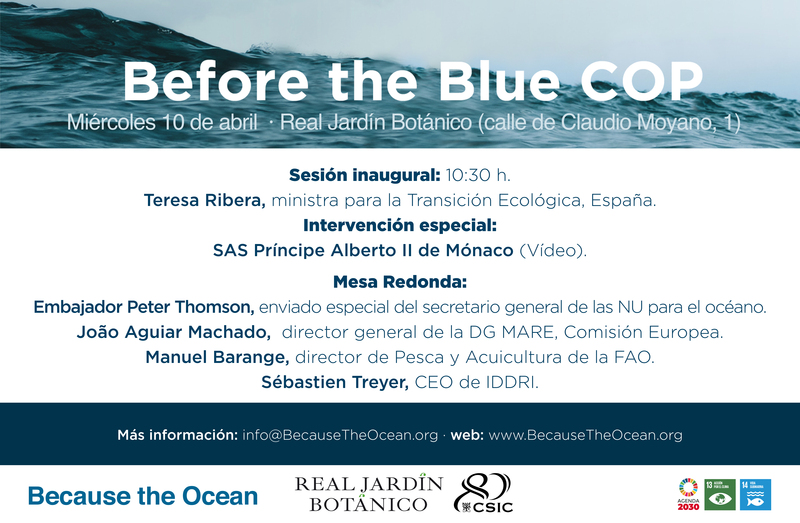 The Because the Ocean Initiative will host in Madrid 10-11 April Before the Blue COP. The event will start on 10 April with an Opening Dialogue with Spain’s Minister for the Ecological Transition Teresa Ribera, followed by a Special Address by HSH Prince Albert II of Monaco (video), and a Round Table discussion with Ambassador Peter Thomson, Special Envoy of the UN Secretary General for the Ocean; João Aguiar Machado, Director General of DG MARE, European Commission; Manuel Barange, Director of Fisheries and Agriculture, UN FAO; and Sebastien Treyer, CEO, Institute on Sustainable Development and International Relations (IDDRI). This entire session (10h30-13h00) will be open to registered members of the public, with a view to disseminating knowledge arising from the work undertaken under the aegis of the “Because the Ocean” initiative, and the opportunities provided by UNFCCC COP25 in Santiago, Chile. This will be followed by a two-days technical workshop (by invitation only) for experts, in both fields of ocean and climate to explore the inclusion of ocean elements in Nationally Determined Contributions (NDCs) under the Paris Agreement. The Madrid session is part of a process started in 2017, including workshops in Bonn (COP23, 2017), Latin America (Santiago Chile, 2018) and the Pacific (Suva, Fiji, 6-7 May 2019). The output from these sessions is expected to be an assessment of potential Ocean elements in NDCs to ensure that the Parties’ NDCs promote, as appropriate, ambitious climate action in order to minimize the adverse effects of climate change in the ocean and to contribute to its protection and conservation (2nd Because The Ocean Declaration COP22, 2016). It is expected that the final assessment will be released when the IPCC Special Report on the Ocean and the Cryosphere is adopted (September 2019), also coinciding with the UN Secretary General’s Climate Summit in New York, before COP25. Policy and scientific experts interested in taking part in the technical workshop on 10 and 11 April can also apply at the same address. 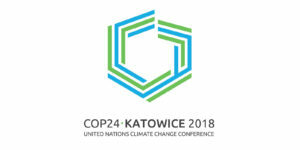 If you’re at UNFCCC COP24 in Katowice, Poland in December 2018, and would like to meet with one of our representatives, please send an email to info@BecauseTheOcean.org. CLICK HERE & WATCH the event of the Because the Ocean initiative which took place Friday 7 December to progress discussions about how best to incorporate the ocean in a climate action. And also CLICK HERE & READ the report on the event by IISD Reporting Services. And on Saturday 8 December, the Because the Ocean initiative also took part in: Ocean Action Day in Katowice.